The SHaMs 2.0 — that is, the Second-Half Mets now that they’ve traded away all the veterans other teams would accept — are pretty terrible so far but I guess have to adjust our expectations and get through the remainder of the year. Today we learned that 2 returnees from the fire sale — relievers Jamie Callahan and Jacob Rhame — will be joining the club as September call-ups when the Mets play next in Houston on Saturday. Callahan, one of three guys received from Boston in the Addison Reed trade, takes the vacant number of the man he was traded for, 43. That’s the first Uni Swap since Joaquin Arias inherited Jeff Frocoeur’s No. 12 way back in 2012 2010 I think. Rhame, who arrived from the Dodgers in the Curtis Granderson deal, gets No. 35, which most recently was seen on the back of Adam Wilk. 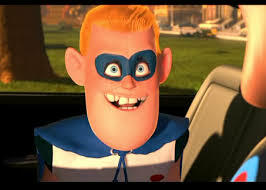 A friend by the way pointed out Rhame’s resemblance to Buddy aka “Incrediboy” aka “Syndrome” from THE INCREDIBLES. Incredible, no? It’s good to see sane pitcher numbers issued again, and this only a week after the normal position-player number 28 was given to newly arrived outfielder Travis Taijeron. I guess some things need to go right again. 892: Joaquin Arias. Acquired for hapless hacker Jeff Francoeur in a waiver deal with the Texas Rangers, Arias was once chosen ahead of Robinson Cano by the Rangers for payment in the Alex Rodriguez deal. He’s a utility infielder who was designated for assignment when Texas acquired Alex Cora, if you want to get an idea of how he was thought of around Dallas. The Mets assigned him the same No. 12 worn by Francoeur, making this a DUD (Del Unser Deal) and final slap in the face to Francoeur who ought to be remembered as Bobby Cox’s final Masterstroke in a long career of screwing over the Mets. If anyone knew Francoeur possessed just enough talent to intrigue Omar Minaya and just enough personal magnetism and discount price to excite the owners, it was him. Jeff lived up to every expectation. 893: Lucas Duda. The outfielder had a terrific season at Buffalo but a rough start at the plate for the Mets. They assigned him No. 21: Most recently on the back of recently departed catch Rod Barajas. 894: Mike Nickeas. He’s the catcher the Mets collected in another right fielder dump to Texas a few years ago — the Victor Diaz deal. Nickeas makes an intriguing addition in that he dates all the way back to Tim Bogar in the oldest active Trade Chain among Mets: He was acquired for Diaz, who was acquired for Jeromy Burnitz in 2003, who came from Milwaukee in that whacky Todd Zeile thingy also involving Lenny Harris, who was acquired for Bill Pulsipher, who was (re-)acuired for Luis Lopez, who initially came over for Bogar, a 1987 Met draftee. Nickeas wears No. 13, the first since Cora. 895: Dillon Gee. 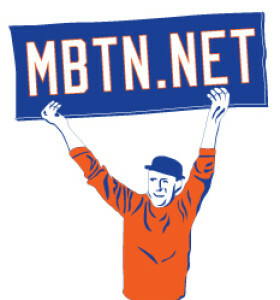 Mets.com has him wearing No. 35, last worn by opening-day cleanup hitter and future trivia answer Mike Jacobs this year. 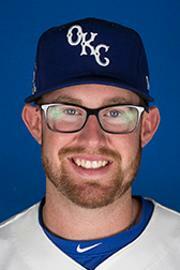 Frequently described as one of those minor league prospects with limited repetoire but who “knows how to compete,” (gulp) Gee gets Tuesday’s start at Washington. 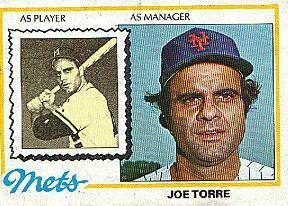 In the meantime the Mets also welcomed back outfielder and serial No. 6 acquirer Nick Evans; relievers Raul Valdes, No. 22; and Sean Green, No. 50; as well as reliever-turned-starter Jenrry Mejia, No. 32. Outfielder Jesus Feliciano is also back in No. 27. Other than the bad baseball, did I miss anything? Had a good time despite the disappointing result at the Mets game last night, and even as I continued scratching my head wondering why they continue to start Ruben Tejada over Luis Castillo at second base, even as Jeff Francoeur continues to get the starts in right field. Anyone else find this difficult to reconcile? Sure Castillo has limited value, but he’s clearly better at this point in his career than Tejada, whose mistakes in the field are even blunting his advantages in quickness and range. Meantime, Francoeur, who unlike Castillo has no commitment from the club to keep him around for another season, gets the kid gloves despite having been a major drain on the offense since June. I just don’t get it. The Mets however did accomplish something last night. When Jose Reyes bounced to first with the bases loaded and ended the game, the Mets fell to 63-63, marking their 11th contiguous point at .500 — that is, alternating wins and losses at a game above or below .500 — breaking the old record of 10 such contiguous points set in 2005. The Mets in other words have been 53-53, 54-54, 55-55, and so on up to their current mark of 63-63. Amazin’. They still have some work to do to catch the 2005 team for most overall points at .500: That team had 27 separate .500 marks. But at 19 .500s already, the 2010 Mets right now are in third place all time and have 18 more shots for historic mediocrity ahead of them. And you thought there was noting left to play for. The below chart ranks Mets teams by the number of times their record was .500 . Thanks to the Post’s Mike Vaccaro for inspiring the research. 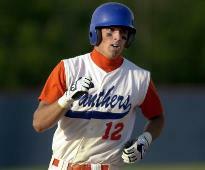 I didn’t think to reseach it beforehand but as you can see in the jocky images below, 12 was Francoeur’s number in both baseball and football at Parkview High in Atlanta (the school actually retired the jersey). Go Panthers! When he debuted with the Braves in 2005, 12 belonged to catcher Eduardo Perez. No. 6: Nick Evans was just demoted — Angel Pagan returned from the DL — and the addition of Francoeur does Evans’ future no favors. But I like 6 as a scrubeenie signifier and would hate to see it wasted on a guy we’ll come to remember — good or bad — as much as Francoeur. Didya know he’s under team control for one more than Chuch? Oh yes. He’s our right fielder through 2011 if we want him, and maybe if we don’t Gulp. No. 12: Still unissued since Willie Randolph‘s departure but more of an infielder’s number. No. 19: If there’s something to admire about this deal off-the-bat is how brazen a challenge trade it really is: Both right fielders, both considered disappointments, both teams in the same division, both more or less fighting for the same goal. Why not make it a true Del Unser Deal and change up the jerseys as well? No. 27: Available even though we’ll probably need Nelson Figueroa again. This, 47, and 77 are the easiest to imagine emerging from the 7 family if Francoeur prefer to stay with it. As for the trade, I fear it: It seems that if Church only played a little better he’d not have been traded to begin with but it takes more ignorance of on-base percentage than I’ll ever have to think we haven’t just made a bad offense even worse. That said, Francoeur is right-handed and young and may still become something; while Church, for whatever reason, has fallen out of favor with two clubs already. In other troubling news they brought back Argenis Reyes when overmatched youngsterFernando Martinez went on the disabled list. And before I ever had a chance to enjoy his demotion.